James Austin Yarwood was upset when his six year relationship hit a ‘rough patch’, court told. A man who monitored his ex-partner’s movements using trackers and hidden cameras has pleaded guilty to stalking. James Austin Yarwood placed a tracker in her car’s glove compartment and a hidden camera beneath her TV so he could see her sitting on the sofa chatting to a visitor – even though he was at his father’s home in Leicester. The court heard the 30-year-old monitored the movements of his ex-partner with the aid of electronic devices because he was upset by a “rough patch” in their six-year relationship. Gareth Parry, prosecuting, said Yarwood had also bombarded the victim with phone calls and texts. 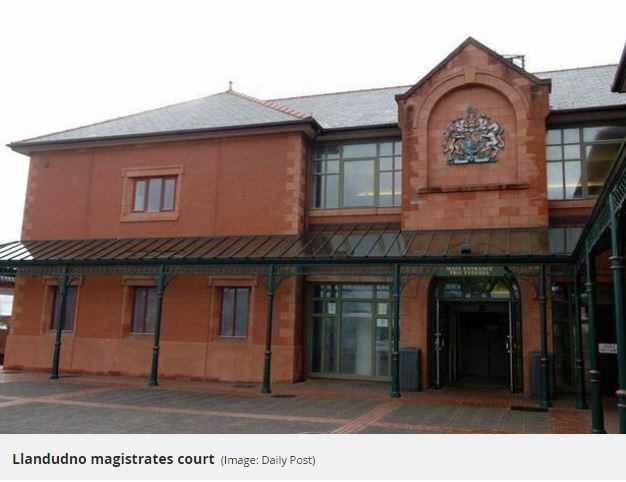 Yarwood, of Lower Denbigh Road, St Asaph, pleaded guilty to stalking teacher Keilah Stewart at her home at Abergele between May and mid-June and was given a year’s community order. He must pay his victim £200 compensation and costs of £170, with 100 hours of unpaid work and he must undertake a “building better relationships” programme with the probation service. But she didn’t want a restraining order so he could maintain contact with two children. Craig Hutchinson, defending, said Yarwood had a good job with a motor company. “These were the actions of a desperate man trying to keep his relationship together”, he said.